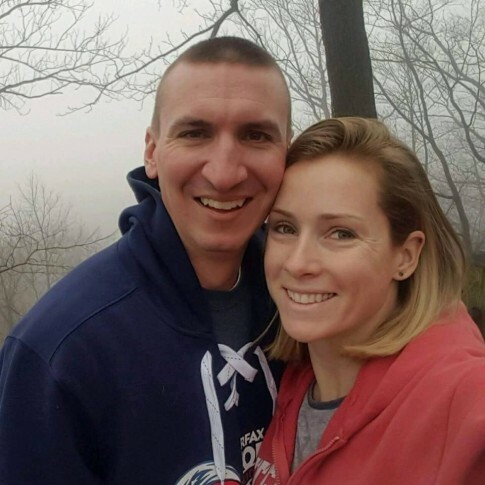 For the first time, the husband and sister of Fairfax County firefighter Nicole Mittendorff are discussing her suicide. WASHINGTON — For the first time, the husband and sister of Fairfax County firefighter Nicole Clardy Mittendorff are discussing her suicide, and addressing the question of whether online bullying played a role in her death. Nicole Mittendorff’s body was found April 21, after an intense search in Shenandoah National Park, eight days after she was last heard from. The 31-year-old Woodbridge career firefighter and paramedic was reported missing April 15, when she did not show up for work. An autopsy determined Nicole had died by suicide. Shortly after Nicole’s death, Fairfax County Fire Chief Richard Bowers launched an investigation into cyberbullying in his department, citing crude online comments about Nicole, supposedly posted by fellow firefighters. In an exclusive WTOP interview, her husband, Steve Mittendorff, and sister Jennifer Clardy Chalmers revealed new details about the bullying allegations, as well as the suicide note investigators found in Nicole’s Mini Cooper, and the effects of her death on her family. “I don’t think any spouse is ever prepared to lose their loved one, especially at such a young age,” said Steve, who works for Virginia State Police, the lead agency investigating Nicole’s disappearance and death. Steve is a First Sergeant/Area Office commander in the agency’s Bureau of Field Operations. Steve said the couple’s fourth wedding anniversary is next week. Nicole’s disappearance became a national story, in large part because of a Find Nicole Facebook page established by her sister, while desperately looking for ways to help locate her. The beneficial power of social media helped raise awareness of Nicole’s disappearance, but also uncovered and spread previously posted comments about Nicole in an anonymous web forum, allegedly used by county firefighters. Even during the search for Nicole, discussion about the web forum postings became part of local and national news coverage. The sensationalized, and often inaccurate reporting was difficult to endure, said Chalmers. After reports about the online posting, Bowers launched an internal administrative investigation into cyberbullying. His sister-in-law says she agrees. “We know there are dots out there that have been connected that weren’t necessarily connected — it continues to this day,” said Chalmers. While widespread news coverage of Nicole’s disappearance was helpful, hurtful, inaccurate reports remain online. “Someone once said there is not a deficit of incivility in this world, and we can’t fight incivility, no matter how foul, with more incivility,” said Chalmers. Did bullying lead to suicide? News reports about the crude, sexualized online postings targeting Nicole did not come as a surprise to her family. “Nicole and I had discussed them, she had brought them to my attention,” Steve said, but she chose not to engage with the posters. Steve said he and his wife didn’t let the nasty chatter consume them. Her sister acknowledges the postings stung Nicole. “I think anytime something like that is out there, especially in the form of an anonymous website, where anyone can post, I think you’re going to feel you’ve been smacked around,” said Chalmers. After discussing the postings with Nicole, Chalmers said the family chose to move forward. “It wasn’t something that was going to be a continuous factor — it wasn’t something that concerned us, in terms of Nicole’s well-being,” said Chalmers. Steve said he is a member of the task force established by Bowers to investigate bullying, and has been kept up to date on the internal investigation. Yet, having read news headlines suggesting Nicole had been “bullied to death,” or “driven over the edge by cyberbullying,” her husband and sister doubt it. “She never indicated, we don’t have any indication, that that played a huge role in her thinking, but we’ll never know,” said Chalmers. Steve and Chalmers realize they may never really know why Nicole killed herself. Steve said he and his wife felt pressures that many couples feel, perhaps intensified by their fluctuating schedules, and demanding jobs in law enforcement and public safety. Now, even those who were closest to her are learning Nicole didn’t share everything she was feeling in the weeks leading up to her death. Nicole’s husband and sister both describe her as a private person. No couple communicates perfectly, he said. Even for close sisters, Chalmers is learning she didn’t know everything about Nicole. “It’s a struggle to realize you weren’t a part of [her whole] life, but I have to respect that, because Nicole liked her privacy,” she said. In the weeks after her death, Steve wonders if he missed a signal that his wife was despondent. “I think anyone who loses someone to suicide would do the same thing, look back and say ‘God, I wish I had picked up on this,’ or ‘I wish I had asked a different question or done something different to be there,'” he said. Police and investigators never revealed the contents of her note when it was discovered, but said its contents assured them foul play was not involved in her death. It was just last week that Steve said he found the strength to read the note for the first time. Steve says he had opted not to see his wife when her body was recovered more than a mile from the Whiteoak Canyon Trail parking area, where her car was found. The note, however, was important for him to read, since written communication played a large role in their relationship. Despite the sad event that occurred soon after it was written, Steve said he will keep the note. Three weeks after his wife’s memorial service, Steve hasn’t yet returned to work. He says he is taking care of her final affairs, getting things in order at their Woodbridge home and taking some healing time for himself. “Nicole left behind a great deal of energy and strength, and I’m kind of focusing on that and channeling that to really carry myself, to even come and talk about her, because it’s hard,” he said. Chalmers said her family has decided to honor Nicole by raising awareness about suicide prevention, although it’s still too soon to know whether a foundation will be established. “We’ve chosen as a family to remain positive, remember her attributes, and really affirm and remind each other that no matter what hole you may think you’re in, what you think you may have done or what you think you can’t crawl out of, you are so loved and so welcomed,” Chalmers said, adding she now tells her family five times a day that she loves them. As he processes his grief, and investigations into possible bullying within the Fairfax County Fire and Rescue Department continue, Steve said he believes his wife’s contributions to public service and community will endure. “I made the promise to many of her co-workers and family that 10, 15, 20 years from now, I want people to still know her name,” Steve said.